Hey there! I hope you all had a wonderful July 4th weekend. My mother, niece, and nephew paid me a visit from Chicago and were here for a total of nine days. I thoroughly enjoyed their visit with me and hate that they live so far. Thank goodness for holidays and quick airplane rides. 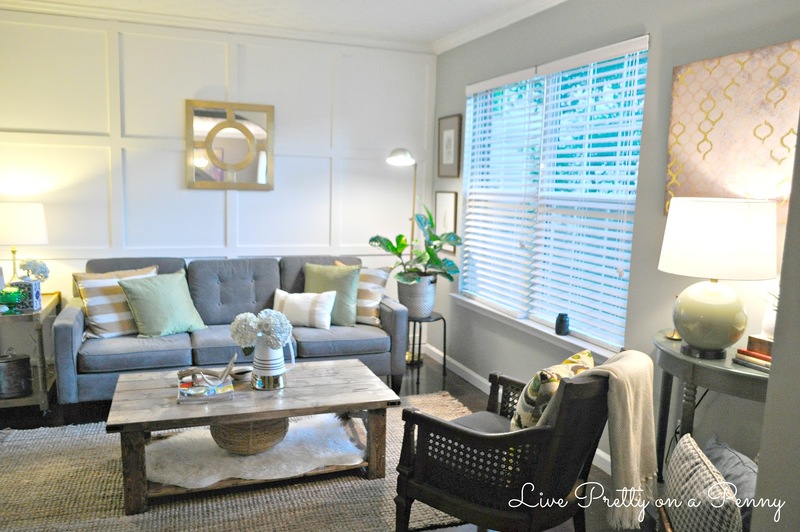 Any who, I am here with my living room reveal!!! 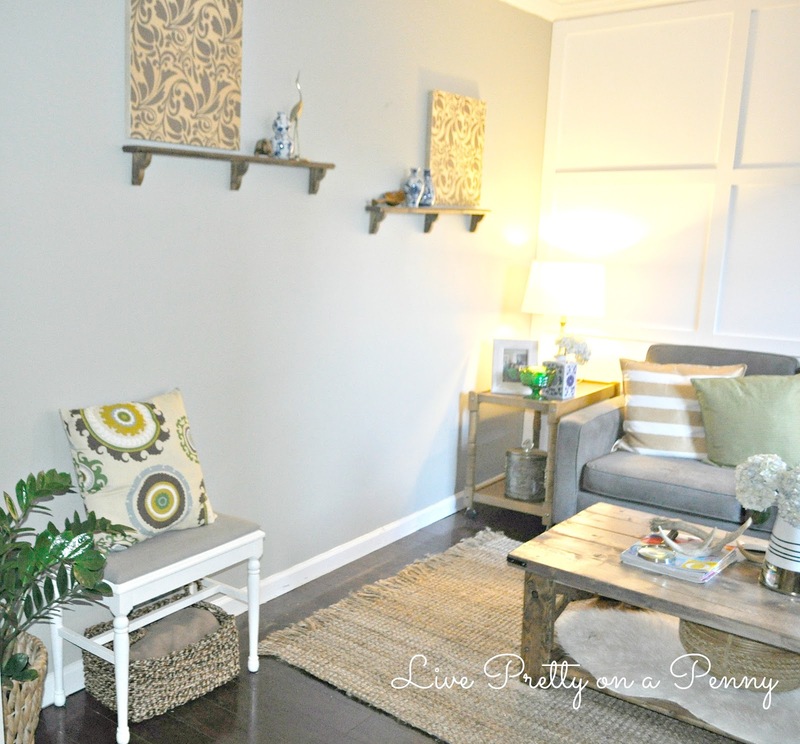 Besides the focal panel wall, I am also in love with my Craigslist score gray sofa. I purchased it for $250. 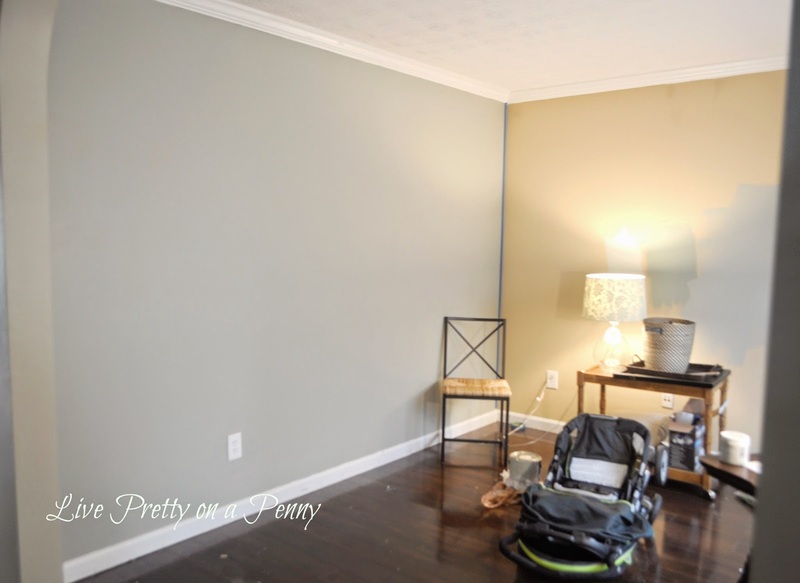 The wall color is Benjamin Moore Seahaze, color matched to Behr paint in an eggshell finish. The gold decorative mirror was purchased at Target a while back. It was on clearance for $39.99. 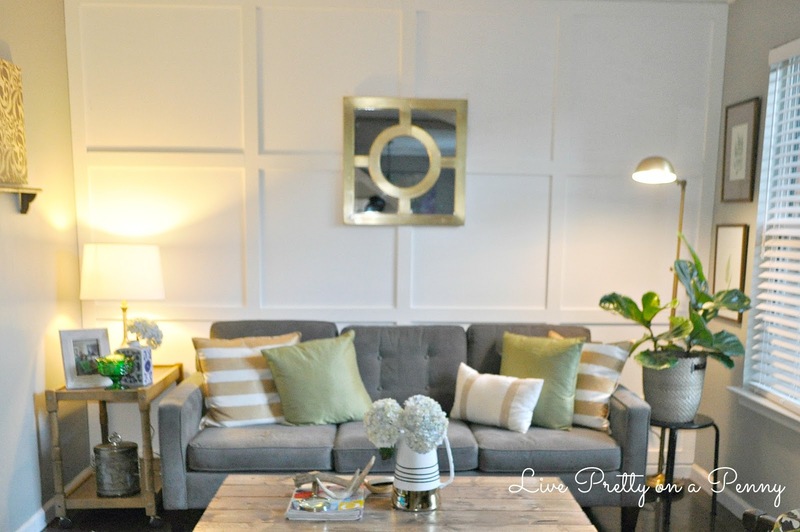 The gold and white striped pillow was a DIY from early last fall. 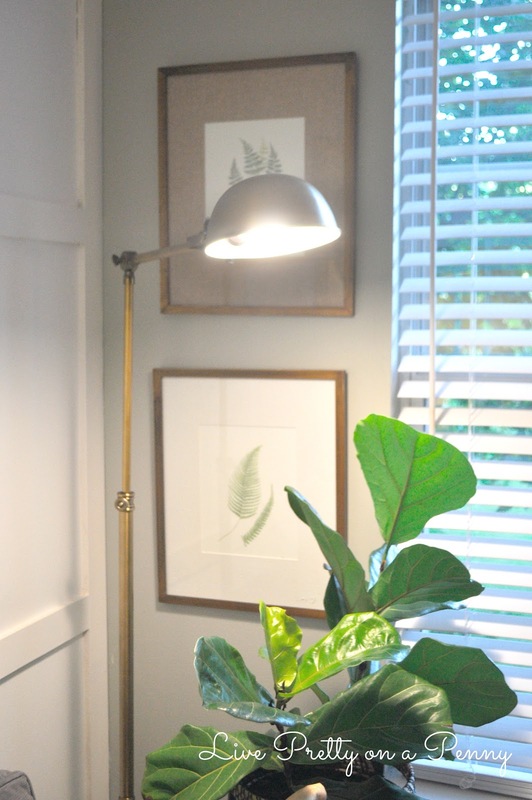 I love my little corner which houses my fiddle leaf fig, some free online artwork, and my Julian Apothecary lamp from Ballard Designs in Antique Brass. The frames for the free prints were purchased from Bealle’s Outlet. 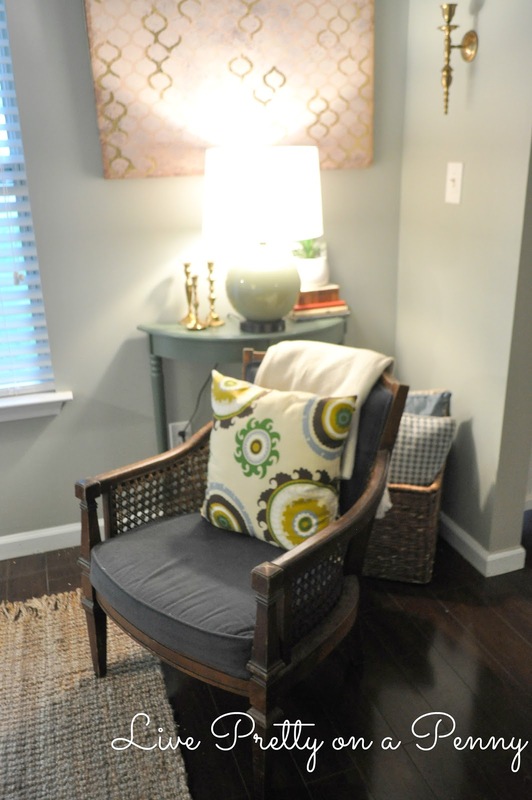 The rug was purchased from Rugs USA and is the Maui Chunky Loop in a 5×7. This wooden bar cart was purchased from my local Facebook Online Yard Sale group for $20! 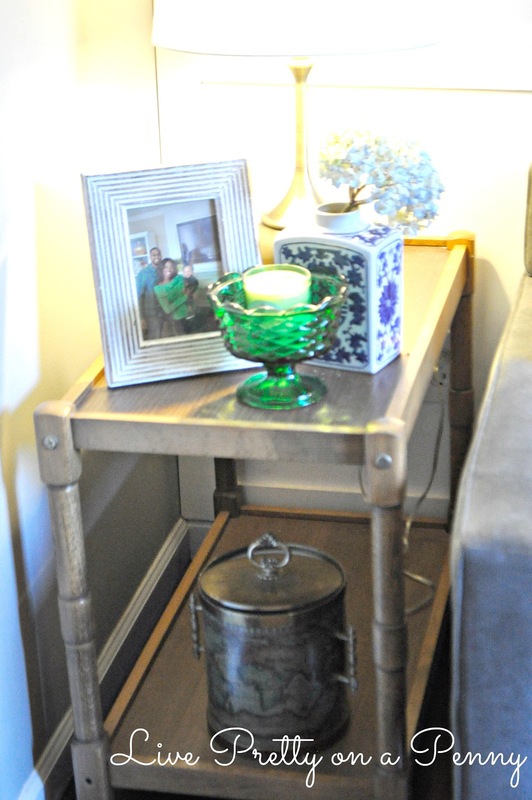 The green candle holder and ice bucket, and gold lamp were purchased from Goodwill. The blue and white vase was on clearance for $6 at Bealle’s Outlet. 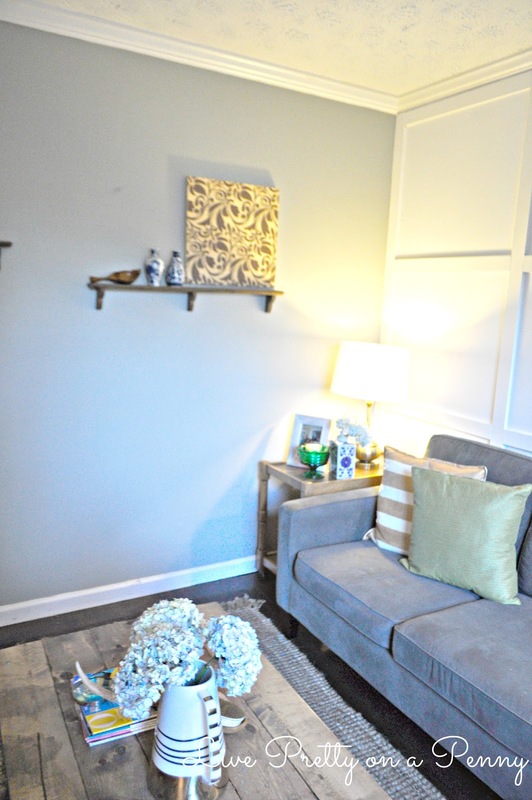 The wooden pictures on the floating shelves were purchased on clearance from Target for $8 each. The other items that adorn the shelves were purchased at Goodwill and Bealle’s. The shelves are from a flea market and were $2 each. The table of course is a DIY. 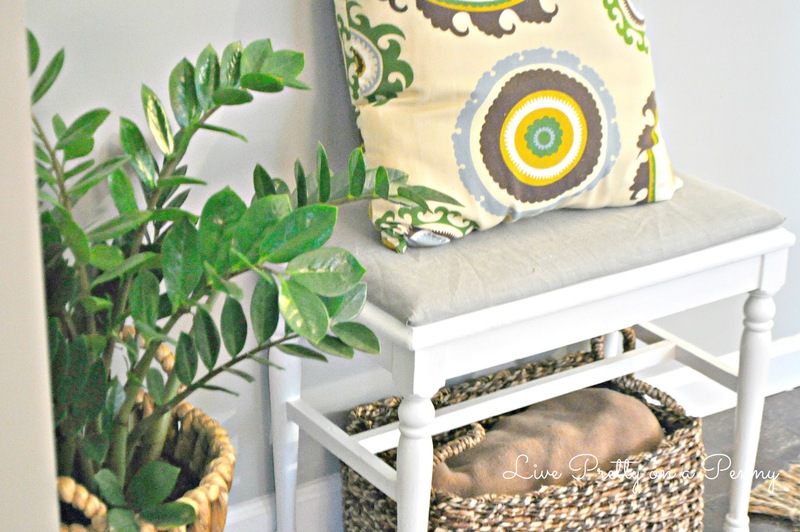 The stool was a DIY makeover from a stool that I found on the curb. Some new paint and fabric and its like new! The plant is a ZZ plant and I purchased it a The Home Depot. 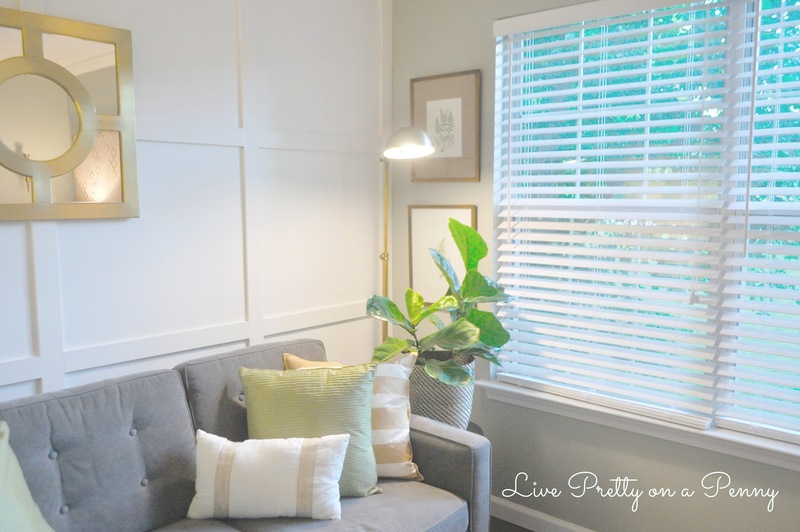 The green lamp in the corner is from Salvation Army and I purchased it for $15 and the gold foil art is from TJMaxx. Can you believe someone threw this chair out on the trash? Well lucky for me, I drove by and rescued it, had it professionally cleaned, and its like new. 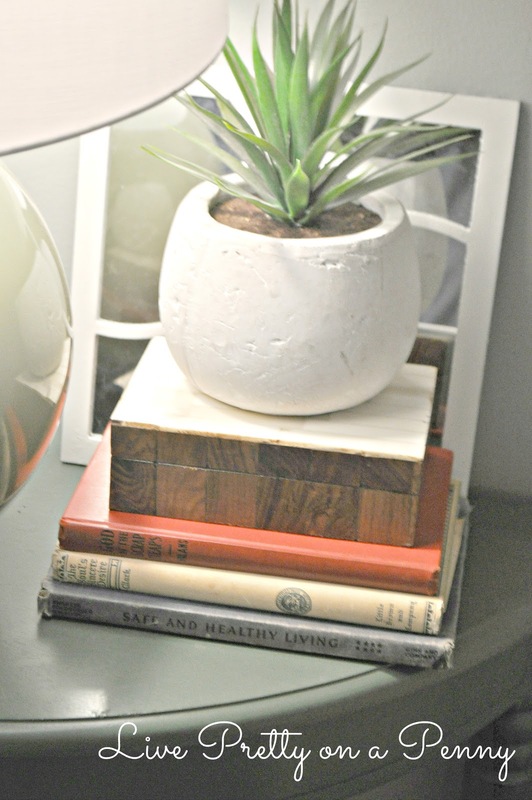 I love decorating with old books, and I received these during the Swap It Like Its Hot challenge. Here is the view looking out of my living room into the walkway. 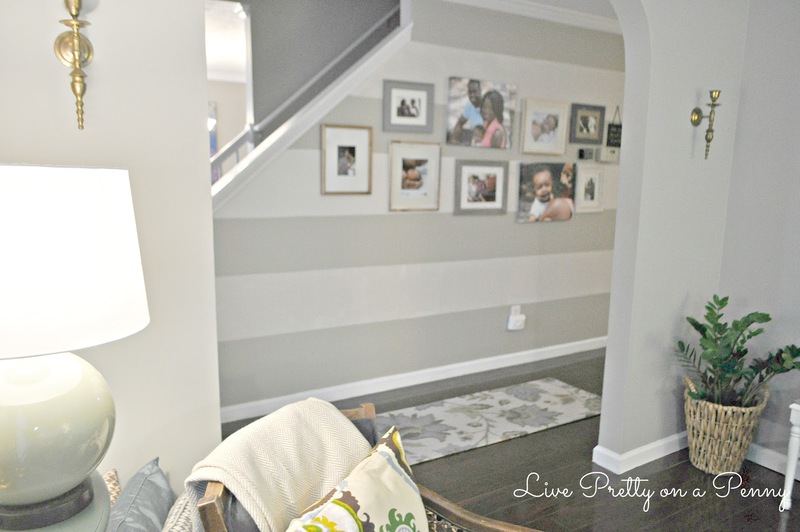 The gold sconces on the wall are from Goodwill. 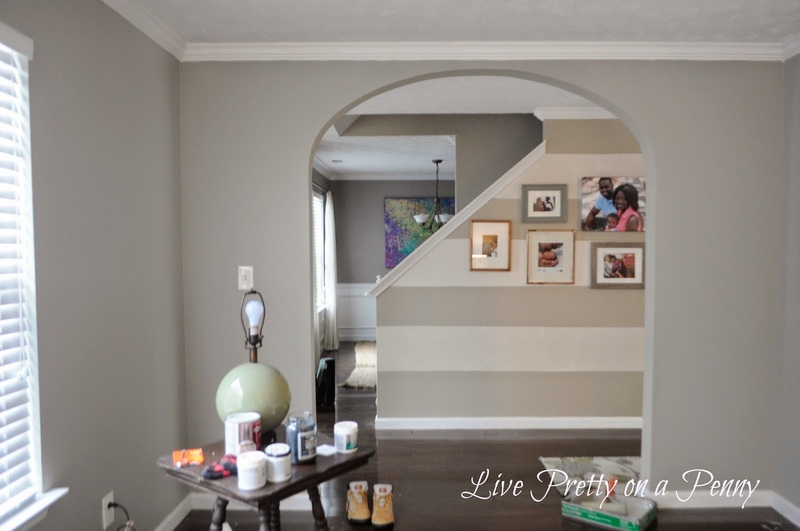 Here is a peek from the walkway back into the living room. I still need to finish off this room with a pair of curtains, but for the most part, I consider it done. If you have any curtain ideas, please share. I am not sure if I should go with a plain white or pattern. Let me know what you think! And as always, thanks for stopping by! 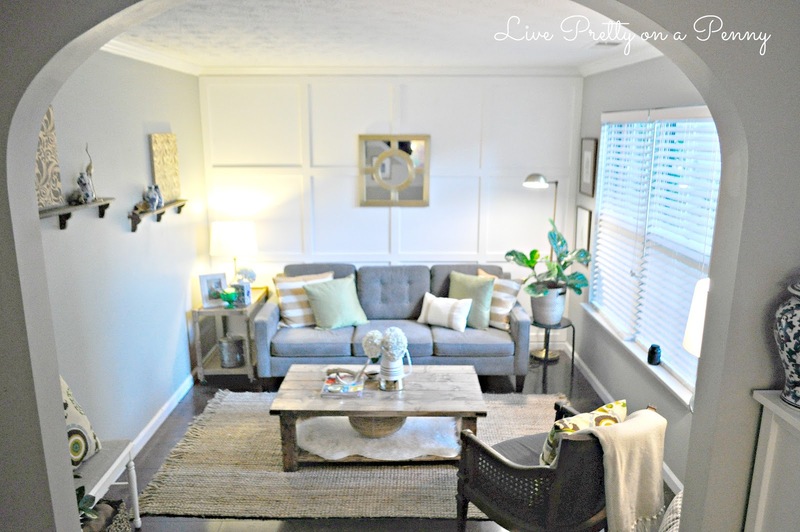 Erin, I love how the room turned out! Great wall color. This room is stunning! It is so cozy and inviting and you found just awesome deals! Envious of your couch! That focal wall came out beautifully. You lucked up on some great deals, the sofa and bar cart are my faves. Very pretty! 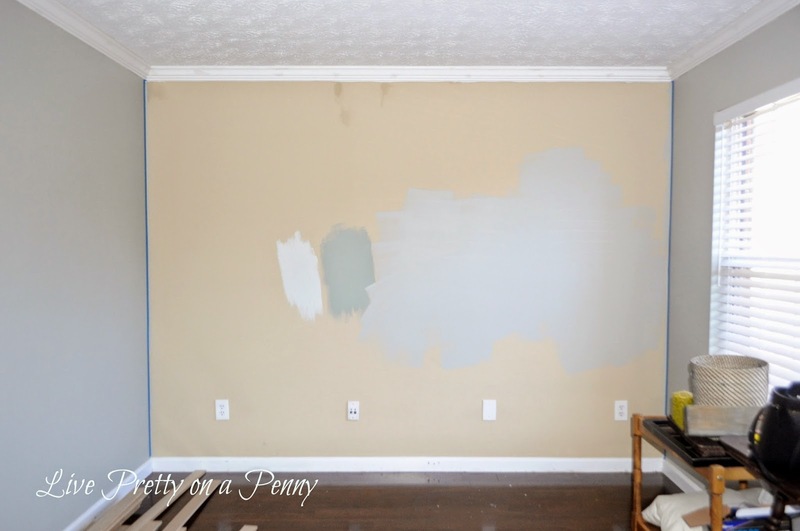 Love that wall color! 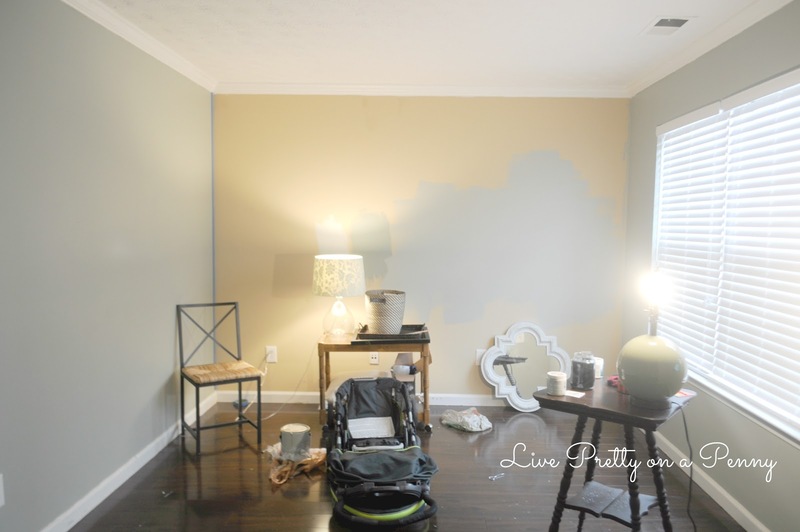 Beautiful job on your room, Erin!!! 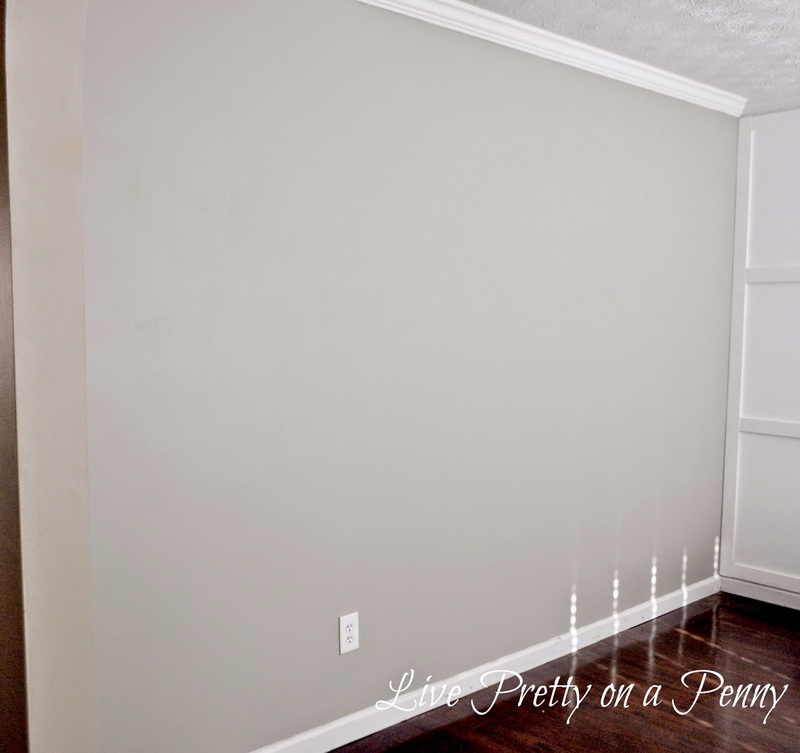 Really love your wall treatment and paint color. 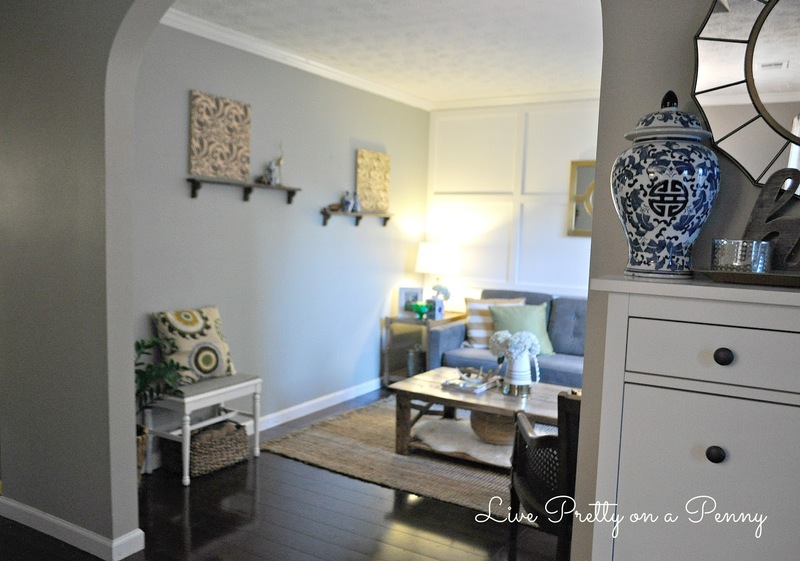 Oh my goodness, Erin, this space is gorgeous! I love all the textures and color choices. 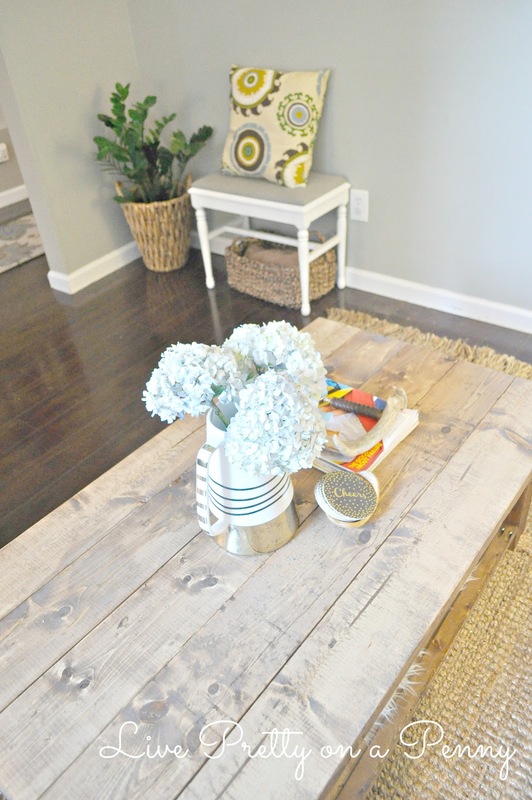 Your thrifted finds are such beautiful additions. Love it Erin! You did a great job, love all of the gold accents! 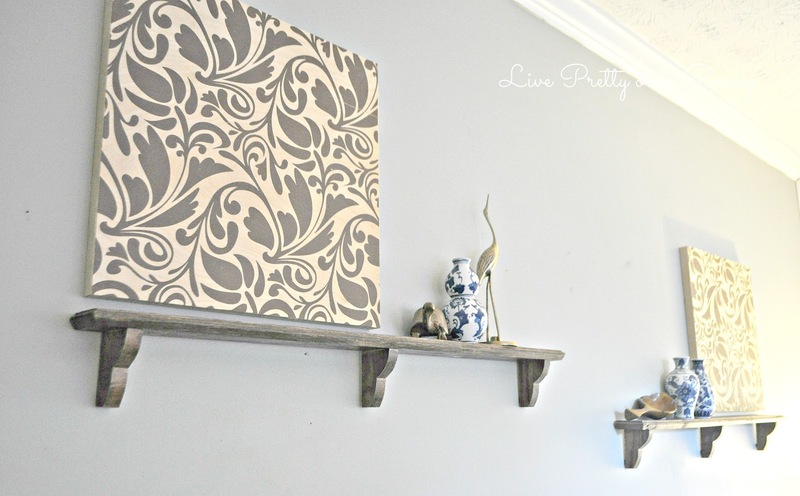 Found you from Thirfty Decor Chick….Gorgeous! And what an awesome score on the couch!